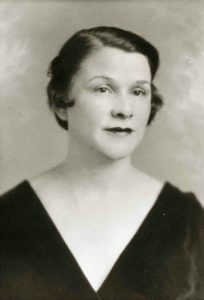 Esther Kligerman (c. 1898-1985), born in Nikolaev, Russia, immigrated to New York with her older sister, Clara, in 1913. Clara met Frank Baker while he was visiting from Estill, South Carolina, on a buying trip. When they got engaged, both Clara and Esther moved to Estill, where Esther met Frank’s brother Jake (1887-1951). The Baker brothers were two of ten children born to Hyman and Annie Becker of Mount Pleasant. 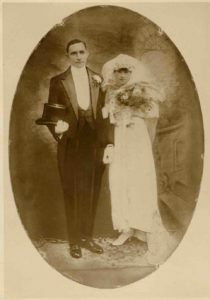 Jake and Esther married in 1916 and continued to live in Estill until 1930, when they moved to Columbia to join their siblings, Clara and Frank Baker. Prior to their relocation, Esther managed a retail store in Estill. The couple’s Columbia store, first known as Mrs. Esther Baker, opened in 1931 at 1242 Assembly Street and sold general merchandise. By 1933, the couple moved the business to 1318 Assembly Street, where it became Baker’s Shoe Store and sold “reject shoes” that Jake acquired in Baltimore. 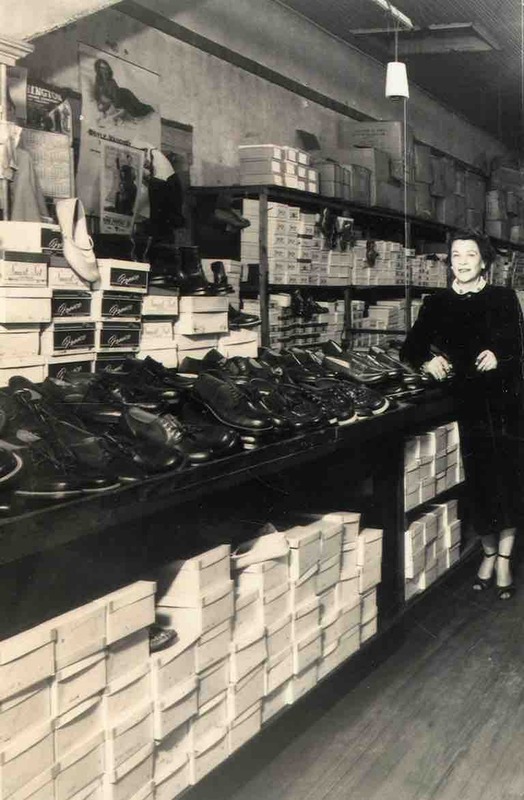 From 1938 until 1954, the store operated at 1320 Assembly Street, where in the 1940s it was known as “Jake Baker Shoe Repair.” Following Jake’s death in 1951, Esther managed the store until it closed in 1954.